Five months after my first attempt, I passed the PADI Open Water Diver course. Here’s a step-by-step guide for fellow divers who are somewhat nervous ahead of the course. I cover the theory first and then the hard stuff: the confined water tests and the open water tests, touching on a few difficult points along the way. Knowledge development: theory work to help you understand the basic principles of scuba diving. This is reviewed in a final test in which you must score 75% or higher. If you fail, you can retake the test. See ‘PADI test questions’ below for more. Confined water dives: this is usually done in a pool or shallow water in the sea with the aim of teaching you basic scuba skills. See ‘PADI confined water tests’ below for more. Open water dives: you must complete four open water dives in which you demonstrate your skills. 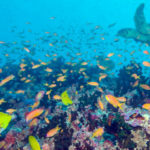 See ‘PADI open water tests’ below for more. In choosing a course, firstly, make sure your dive centre is certified by PADI. 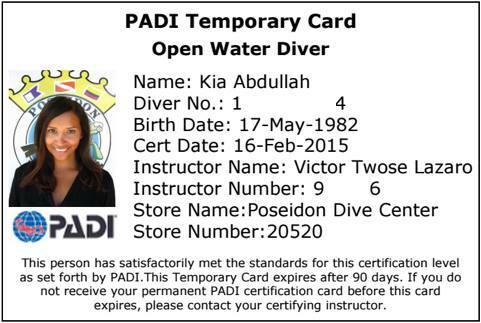 There are centres all over the world that advertise the PADI Open Water Diver course but which aren’t actually certified. They will happily take your money and while you probably will learn to dive, you won’t be certified. Secondly, if you’re a nervous diver, try to book a 4-day or even 5-day course. The intensive 3-day courses run through the practical tests very quickly with little time to coach weak swimmers. A longer course means more time for hand holding (which I needed – literally). 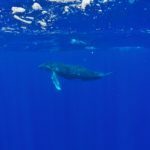 You will find the practical side of diving much easier if you read through the theory first. Your dive centre will supply you with a book and a DVD comprising five different chapters. If you can confidently answer the tests within the chapters and the knowledge reviews at the end of each, you will likely pass the exam without difficulty. Depending on your learning style, it is possible to blitz through chapters 1-3 on one night and 4-5 on the second. Naturally, if you have more time to play with, then feel free to split up the studying even further. For the ‘BWRAF’ check, substitute the clunky PADI acronym (‘Begin With Review And Friend’) for ‘Bruce Willis Ruins All Films’. It’s not true of course but it’s far easier to remember. For the five-point descent, use the SORTED acronym: Signal, Orientate, Regulator, Time, Equalise and Descend. There is no standard acronym for the different types of ascents (Normal ascent, Alternative air source ascent, Controlled emergency swimming ascent, Buddy breathing ascent, Buoyant emergency ascent), but they will come up so use mine: NACBB for ‘Not All Children Break Bad’ – it’s far from perfect but it works for me! Don’t be daunted by the dive tables. They seem complicated at first but are straightforward once you have been through the booklet. Check with your instructor if you will be using the manual tables or an electronic one. If the latter, you will only need a loose understanding of the former. The following is a list of the confined water tests (or ‘pool tests’) you will be expected to complete. According to my instructor, most nervous divers have difficulty clearing the mask (I certainly did!). If you have a snorkel and mask, practise this skill yourself before the course. You must complete four open water dives in order to pass the course. Dive 1 will orientate you, get you comfortable with the scuba gear and test a few of the above skills. Dives 2 and 3 will rigorously test the above skills while Dive 4 is usually a more relaxed affair allowing you to use and enjoy your newly developed skills. The most important thing to remember is to keep breathing and never hold your breath. If you feel panic rising, just continue breathing. If you can’t think through your flooded mask, just keep breathing. If you want to shoot up to the top, just keep breathing. The second most important thing is to practise, practise, practise beforehand. The more time you spend in the water, the more confident you will become. If I can do it after vomiting into the regulator five metres down and then again on the boat for good measure with a whopping 8kg around my waist, then so can you.